Dear Madam, dear Sir, this is a big sunny “hello” to you! It's the season for bookings! Treat yourself to the stay that best suits your needs, in an exceptional setting. As you may have already noticed, Vacances Giens website (Holiday-giens.co.uk) just got a makeover with the integration of a new video presentation and a new background color, a little warmer to our taste. Your comments or suggestions are welcome to the address info@vacances-giens.com, they will help us in our constant search for improvement. Since this is now the season for bookings, we take this opportunity to announce good news to serve your sweet nights: 118 accommodations (mobile homes and cottages) are now equipped with air conditioning at Camping La Presqu'île Giens. In addition, regular treatment will be carried out against mosquitoes in all establishments from March to October, using specially crafted products respecting environmental and public health standards, all that in support of trapping devices against these insects that have an unpleasant reputation. Camping La Presqu'île de Giens, entertainment for all, ideal for a family holiday: accommodations from 2 to 6 guests, 4-guest shacks and camping pitches. 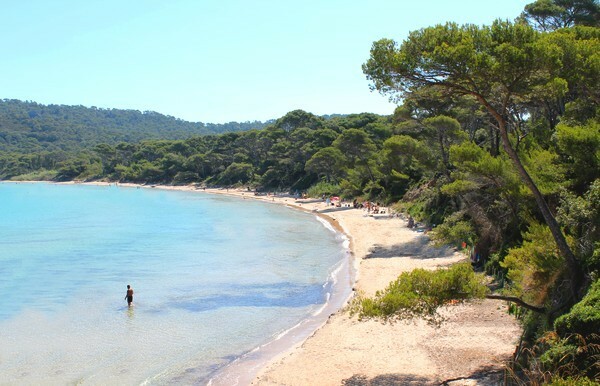 Camping La Tour Fondue: calm and open to the sea, facing the island of Porquerolles, mobile homes from 4 to 5 guests, camping spots. Camping Olbia: in harmony with nature, authentic and peaceful. 100% camping = 100% nature. Spots for tents, caravans and camping-cars, as well as a much requested apartment. Apartment Hotel La Gabinière: Air-conditioned apartments from 3 to 7 guests, facing the island of Porquerolles for a comfortable holiday. Looking forward to welcoming you soon with pleasure on the beautiful Giens Peninsula, we would like to assure you that we will be fully committed to the success of your holidays. Sincerely yours, Team Vacances Giens.